The team look for new challenges. And they find it abroad. Reynolds débuts at the Tour de France… and falls a place short to surprise all the competitors. Ángel Arroyo comes into Paris with the second place overall after an unforgettable 1-2 alongside Delgado in the mountain ITT to the Puy de Dôme. In Spain, Julián Gorospe wears the leader’s jersey of the Vuelta for many stages, but cannot complete his exploit as Hinault fiercely attacks in the stage to Ávila. In the ranks of the amateur team, one of its members becomes Spanish champion. His name: Miguel Indurain. 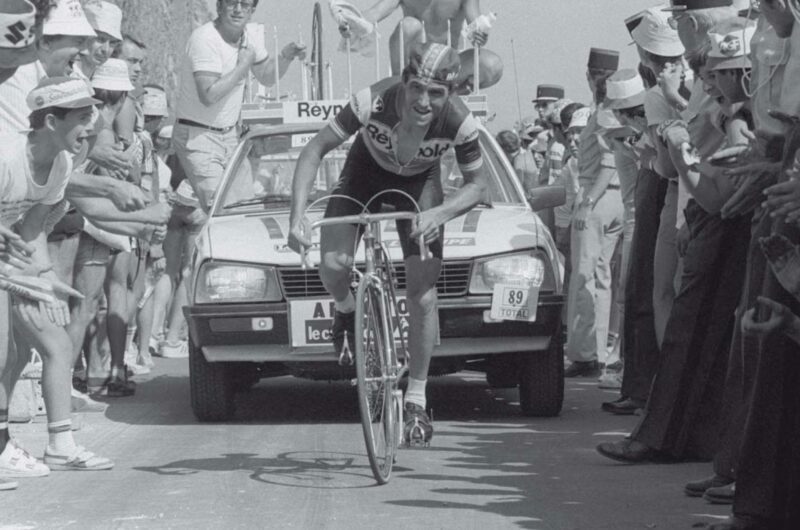 The unforgettable descent of the Peyresourde by Pedro Delgado during the 1983 Tour de France, one which earns him the nickname of ‘Le Fou des Pyrénées’, the Madman of the Pyrenees. 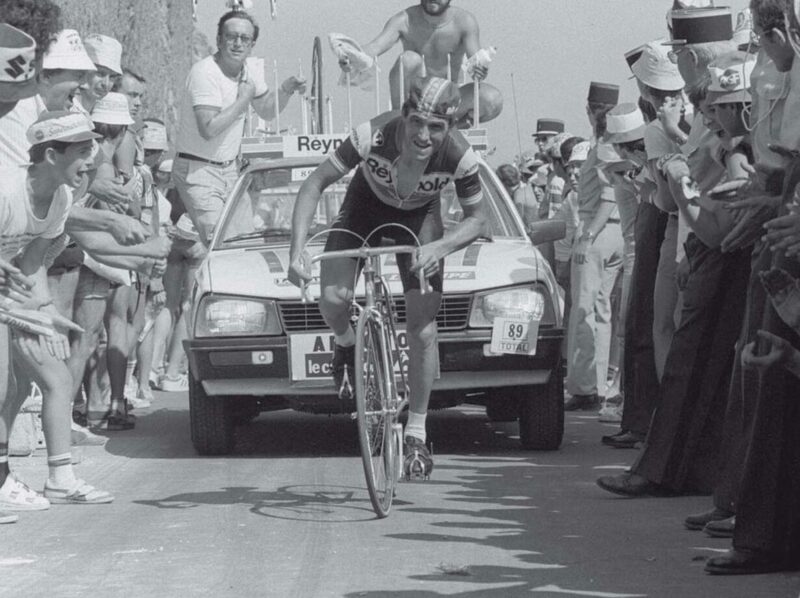 Ángel Arroyo alongside Van Impe during the 1983, where the Spaniard took 2nd overall. Julián Gorospe at the 1983 Vuelta a España, where he was only bested by Frenchman Bernard Hinault. Carlos Hernández beats Martial Gayant in León at the end of a stage in the Vuelta a España. José Miguel Echávarri smiles as he poses for a picture with the two biggest revelatinos in the 1983 Tour de France: Delgado and Arroyo. The first victory in the Tour: a brilliant Puy de Dôme mountain ITT by Ángel Arroyo.